After years of promises accompanied by political inaction on immigration reform (see our posts on the topic in parts one, two, and three), President Obama took matters into his own hands yesterday, announcing major changes to the nation’s “broken” immigration system. What Specific Changes did the President Announce? 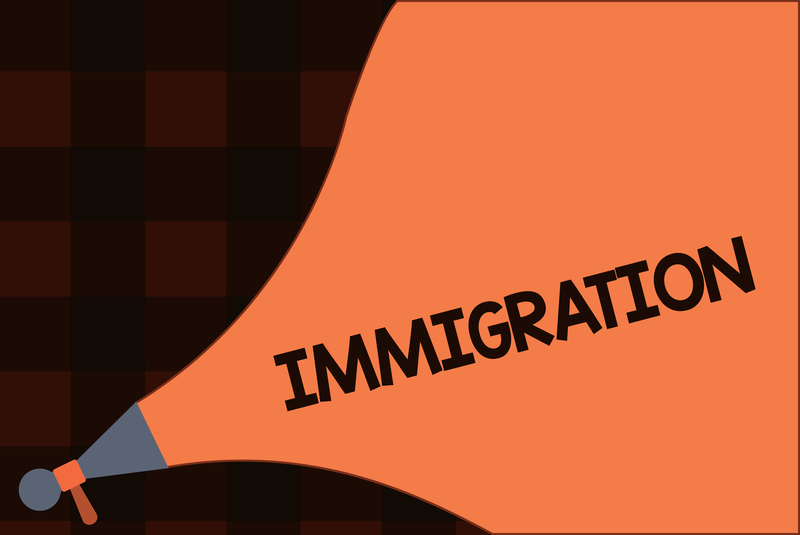 How Will Executive Action Affect Existing Immigration Law? What Should I Do If I think I’m Now Eligible for Relief? On Thursday, November 20, 2014, President Obama announced the steps his administration would take to fix the U.S. immigration system. You can listen to the president’s full announcement here. By executive order, the President significantly reduced the threat of deportation for millions of undocumented immigrants living in the U.S. and expanded their ability to obtain work authorization in the U.S. The President also proposed measures that would benefit F-1 students and those working in the U.S. on a temporary, employment based visa. The U.S. Department of Homeland Security issued various memos related to all these issues shortly after the President’s speech. Many of the changes ordered by the President are intended to allow families facing the threat of deportation to stay together. They include expanding the availability of the Deferred Action for Childhood Arrivals (DACA) program to those of any age and providing deferred action to individuals with a U.S. citizen or lawful permanent resident son or daughter. The President also expanded the “provisional waiver” program, which allows individuals to apply for a waiver of a 3 or 10 year bar from returning to the U.S. upon departure. On the business side, the President’s order would, under certain circumstances, permit spouses of H-1B workers to obtain employment in the U.S. It also calls for a clarification of standards for companies seeking to bring L-1B “specialized knowledge” intra-company transferees to work in the U.S. and an expansion of the National Interest Waiver. Although reducing the threat of deportation for millions of undocumented foreign nationals, the President emphasized that the U.S. Department of Homeland Security would continue its focus on deporting security threats to the U.S., including those individuals convicted of felonies. Allowing parents of U.S. citizens and green card holders to have the threat of deportation deferred and the ability to acquire employment authorization as long as they pass background checks. The parents must have been in the U.S. since January 1, 2010. Expanding the “provisional waiver” program to include spouses and children of lawful permanent residents, and adult children of U.S. citizens and lawful permanent residents, allowing them to apply for a “waiver” of their unlawful presence in the U.S. This benefits undocumented individuals who must apply for family-based green cards outside of the U.S. and who will trigger a bar to returning to the U.S. upon departure. The provisional waiver program allows these individuals to apply for a “waiver” of this bar while in the U.S. rather than a foreign country. In a more vaguely worded pronouncement affecting businesses, authorizing government agencies to expand the government’s ability to coordinate the issuance of previously unused immigrant visa numbers, expanding work authorization to spouses of H-1Bs,clarifying standards for those seeking L-1B nonimmigrant visas, expanding the national interest waiver program, expanding the Optional Practical Training (OPT) program for F-1 students, and implementing a parole program for inventors, researchers, and individuals wanting to start a business in the U.S. Many of the details of the changes, including the timetable for their implementation, have yet to be worked out and will undoubtedly run into opposition from many quarters—including those who believe such immigration changes should be through Congressional legislation rather than executive order. According to the government, the changes will not go into effect immediately and will be implemented over the next several months as more detailed explanations, instructions, regulations, and forms are released. The changes also do not address many of the issues for which immigration advocates have sought remedies due to the limitations of the President’s executive power. Many of those changes, such as increasing the number of H-1B visas available to U.S. employers seeking to employ foreign nationals or providing more immigrant visa numbers, require Congressional approval and are not subject to executive order. As stated above, the changes are authorized to come about in several areas. They are Deferred Action, provisional waivers for those seeking green cards considered to be in “unlawful presence” in the U.S., and various improvements to business immigration involving foreign nationals working in the U.S. Deferred Action now: The Deferred Action for Childhood Arrivals program was implemented on June 15, 2012. It allows certain undocumented individuals who came to the United States as children and who met several guidelines to request a deferral of deportation from the U.S. for a period of two years, subject to renewal. Those eligible can also apply for work authorization and possibly advance parole. Among the requirements of the program are that individuals must have been under the age of 31 as of June 15, 2010, have come to the United States before reaching their 16th birthday and have continuously resided in the U.S. since June 15, 2007. Already meet all the existing DACA requirements regarding education, military service, and criminal history. The changes also extend the period of deferred action and work authorization from two to three years. USCIS estimates that these changes will be implemented 90 days after last night’s announcement. Not be an enforcement priority for removal from the U.S.
President Obama’s order estimates changes in these areas to take place approximately 180 days after his address to the nation last night. Provisional Waivers now: Until recently, immediate relatives of U.S. citizens who had entered the United States without inspection and would trigger a three or ten year bar to re-entry were required to file waivers of those bars only after leaving the U.S. for a consular interview. They typically waited months or sometimes even years for a decision on their waiver, all the while separated from their families. Beginning March 4, 2013, however, spouses and minor children of U.S. citizens (immediate relatives) were permitted, also by executive order, to apply for waivers of their inadmissibility while in the U.S. instead of abroad, thereby reducing the chance they will have to leave the U.S. and be barred from returning. After Executive Action: President Obama’s executive action last night expands the provisional waiver process to the sons and daughters of U.S. citizens (not just minor children) as well as to spouses, sons and daughters of lawful permanent residents (i.e., green card holders). The new process is expected to shorten the time U.S. citizens and legal permanent residents will be separated from undocumented family members seeking green cards. The president’s order does not estimate a timetable for these changes other than that they will depend on the issuance of new guidelines. Clarifying guidance on the meaning of “specialized knowledge” in the context of L-1B applications involving intra-company transferees. Implementation of these changes will also depend on further issuance of guidance and regulations from the U.S. Department of Homeland Security. If you think you might benefit from the President’s announcement and implementation of the changes, you should begin collecting information and documents that, based on previous immigration reform legislation and the DACA program, will most likely be needed. These include proof of identify documents, criminal records, fingerprints, copies of taxes, and proof of physical presence. Identity Records: Obtain original identity documents for you and your family, including birth certificates, adoption records, marriage certificates, divorce decrees, consular identifications, etc. For foreign documents, you may need to contact your country’s consulate. Criminal Records: Obtain certified final dispositions for any and all arrests and convictions you may have. Even expunged arrests and convictions will need to be disclosed and a certified final disposition provided. These can usually be obtained at the court’s office of records or from the police department’s records office where the arrest occurred. Fingerprints: If you have ever been arrested, an FBI background check should be completed by submitting a completed fingerprint card with fee to the FBI. FOIA: If you have ever had any contact with immigration authorities, you should file a Freedom of Information Act (FOIA) request with the appropriate government agency to obtain a copy of your records, if you did not keep copies of all your records. Click here for information about filing FOIAs with USCIS. Taxes: Remember, anyone working and earning income in the United States may be required to file a tax return. This is true even if the person is working without authorization or working for cash. Consult with a qualified tax professional for assistance with filing your tax returns. If you have filed tax returns in the past, but don’t have copies, you can request transcripts of your prior tax filings from the IRS. Evidence of presence in the United States: Both Deferred Action programs (DACA and Deferred Action for parents of U.S. citizens and permanent residents) require being continuously present in the U.S. since January 1, 2010. You should gather a variety of documents to prove how long you have continuously resided in the United States. Objective evidence such as bills, leases, bank accounts, tax filings, paystubs, medical records, school records, church records, insurance records, or other similar documents are generally considered preferable to affidavits (sworn statements). Don’t forget it is not yet possible to file an application under President Obama’s plan. Seek advice from a qualified attorney or organization accredited by the Board of Immigration Appeals. Notaries or “notarios” are NOT attorneys and are NOT qualified or authorized to give immigration advice. Learn more here. If you have questions about the President’s plan and actions you can take now to prepare for possible immigration-related changes, contact the immigration attorneys at MMHPC in Chicago. This post was written by both Derek Strain and Stephen Tarnoff.